One of Barclays’ flagship units has been sold off, with its Wealth and Investment Management (WIM) business in Singapore and Hong Kong being acquired by the Bank of Singapore, the wholly-owned private banking subsidiary of Oversea-Chinese Banking Corporation (OCBC), the lender’s latest shuffling of its global operations. 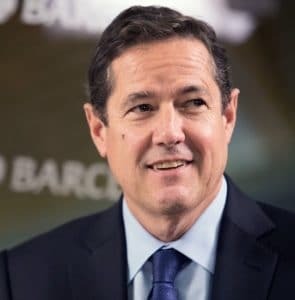 Barclays has been one of the more active banks in recent months, tinkering with the size and scale of its workforce and operations, having seen the largest exodus of personnel in London in a bid to cut costs and kindle revenues. This strategy has been adopted by other players in the industry, namely Deutsche Bank and Standard Chartered, both of which are currently utilizing similar measures. For its part however, the sale of Barclays’ WIM in Singapore and Hong Kong was originally formalized earlier this year, having diverged from the bank’s strategy and central operations. In particular, the WIM business served high net worth and ultra high net worth clients in Southeast Asia. The overall purchase price represented 1.75% of Barclays WIM Singapore and Hong Kong’s assets under management (AUM) on completion, which totaled $225 million. Despite the sale however, Barclays still maintains several corporate and investment banking businesses in Singapore and Hong Kong, seen by many banks as a growing region and perhaps a panacea for industry headwinds. Found Any Mistake ? Let us know ..